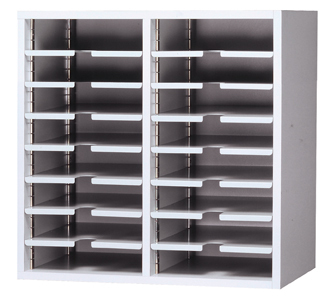 Every company or organization is little different which why USA Building Supplies provides you with numerous options for their mail sorters. 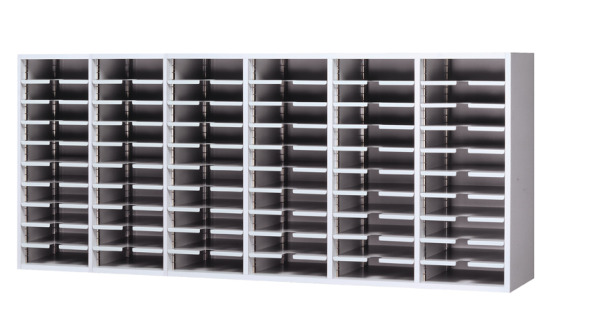 Mailmaster mail sorters can be tabletop or wall hung which allows you to effectively manage your space available. Closed and open back mail sorters provide a customer a choice of one or two side distribution and retrieval of the pocket contents. Mail sorter depth is available in letter or legal depth to provide additional customization for the potential clients. 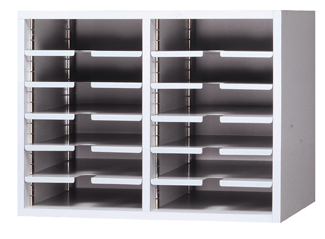 A wide range of mail sorter shell and shelf finishes are offered to give endless color combination alternatives. Finally, although a mail sorter option the USA Building Supplies mail sorter specialists do recommend getting, you have a choice whether to include label holders with your purchase to simplify your pocket identification. 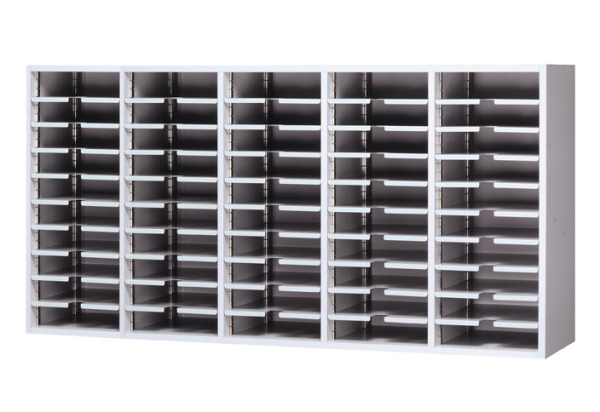 Mail sorter depth can be purchased in letter size (12 1/4") or legal size (16 1/4") which allows a net opening for letter sorters of 11 1/4"W x 11 1/4"D or legal sorters of 11 1/4"W x 15 1/4"
Letter or legal size mail sorters have 54 shelves with 60 openings and weighs 280 lbs. (+$60.00) Label holders allow the end user to identify each pocket opening. If this option is selected the factory will provide the appropriate amount of a clear plastic holders with double sided tape and a cardboard inserts to be used for marking to identify each opening. (STANDARD) Finishes for sorter shelves are EPA tested and approved. The paint is solvent free and environmently sound. Color chips are available free of charge upon request. (STANDARD) The interior and exterior of the sorter shell has a high quality decorative laminate finish which provides durability and appearance benefits. All exposed edges have a PVC commercial grade tape applied to finish off the unit which is color matched to the laminate finish. Custom laminate color matching is available upon request however it typically results in an additional cost and extended lead-time. 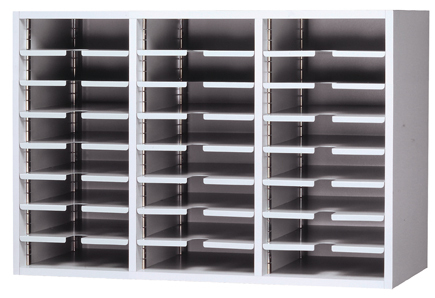 Shop our entire selection of mail sorters online now for high-quality and efficient office solutions.